Dimensions 1.0 In. X 59.5 In. X 72.0 In. 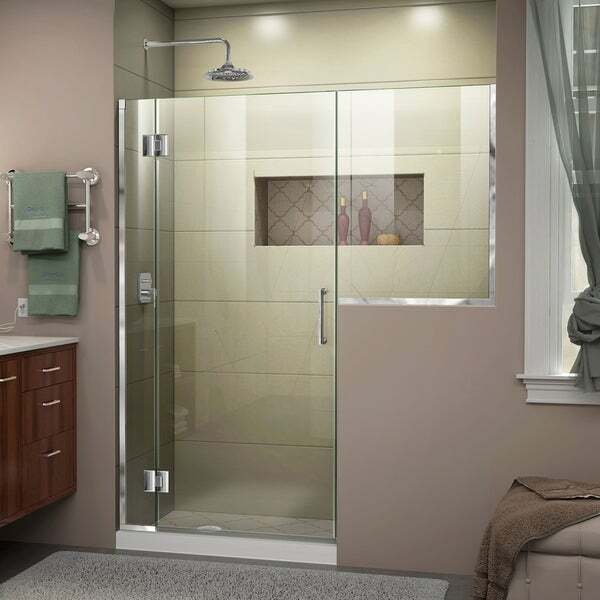 "I need the door to open on the left"
The entire unit is completely reversible, but the moving panel must be installed to the smaller hinged panel. That panel can be installed on either the right or left wall.